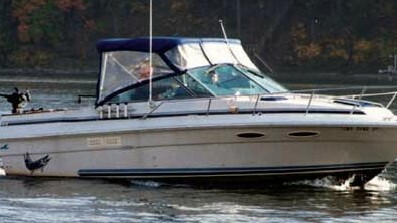 Located in Detroit, Michigan, this 1988 Tollycraft 44 CMY is perfect for cruising the Great Loop, living aboard or whatever your heart has in mind. A cockpit version of the Tollycraft 40 Sundeck, "At Ease II" features solid teak joinery, entertainment center, generator and twin 350 hp (Closed cooling) that cruise at 18 kts. Tollycraft 44 CMY's are highly sought after and have an excellent layout for living aboard. Generous windows provide natural light throughout salon and galley for a spacious feeling inside; the sundeck and flybridge are great spaces for entertaining. 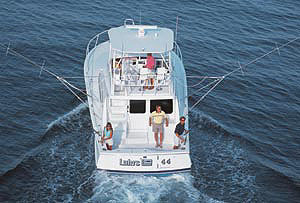 The flybridge helm has excellent visibility. 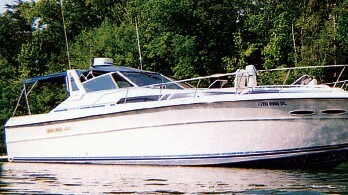 Having benefitted from the loving care of only 3 owners, "At Ease II" is ready to provide years of faithful service. 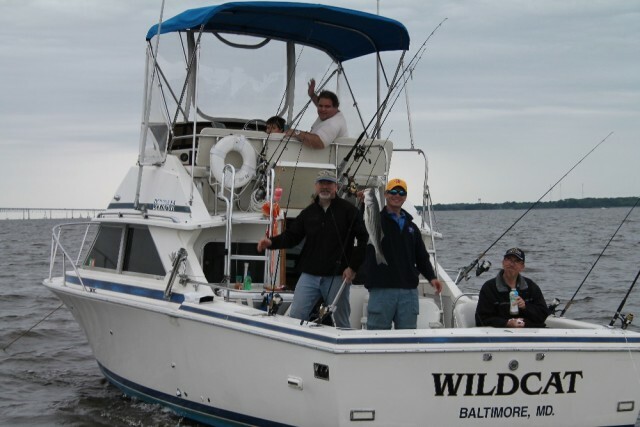 Don't miss your chance to own this classic and well-maintained yacht! Call or email now! The hull of this cockpit motor yacht is a modified V entry, planing type with 10 degree dead rise aft consisting of a solid laminate of hand laid fiberglass with mold applied gel coat exterior. Encapsulated plywood/balsa coring for bulkheads, sole and misc. scantlings. 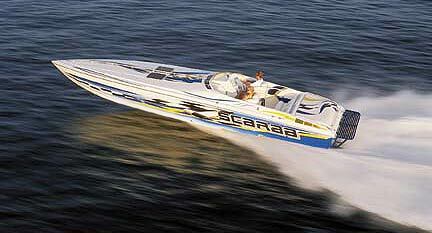 Four longitudinal stringers serve as bottom support and engine beds. Hull decorative stripes are paint. Bottom painted with VC17 and barrier coated. Fiberglass swim platform is thru bolted to the transom. There is a spacious, main salon. The Main AC/DC Breaker panel is on the port side of the main salon near the entrance to the aft cabin. There is a lower helm station on the starboard side near the main companionway entrance. The aft cabin is the master stateroom with its own head and large berth. The forward stateroom V Berth has a double berth.